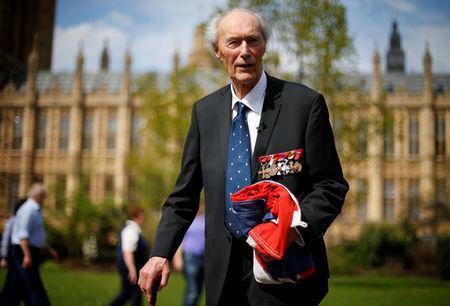 OSLO (Reuters) - The leader of a daring World War Two raid to thwart Nazi Germany's nuclear ambitions has died aged 99, Norwegian government officials said on Sunday. Picked by Britain's war-time Special Operations Executive to lead the raid when he was only 23 years old, Roenneberg was the youngest member of Operation Gunnerside, which penetrated and destroyed key parts of the heavily guarded Norsk Hydro plant. To Roenneberg's team, however, the stakes could not have been higher. An earlier raid failed to even reach the site, with dozens of attackers captured and killed, and Gunnerside members later described their own assault as a near-suicide mission. While historians doubt that Adolf Hitler's Germany would have been able to produce a nuclear weapon in time to stave off defeat, they also recognize that the risks were much harder to quantify in 1943. Norway's Prime Minister Erna Solberg on Sunday praised Roenneberg for his work both during and after the war. "He is one of our great heroes," she told news agency NTB.